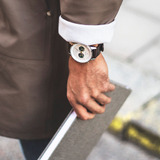 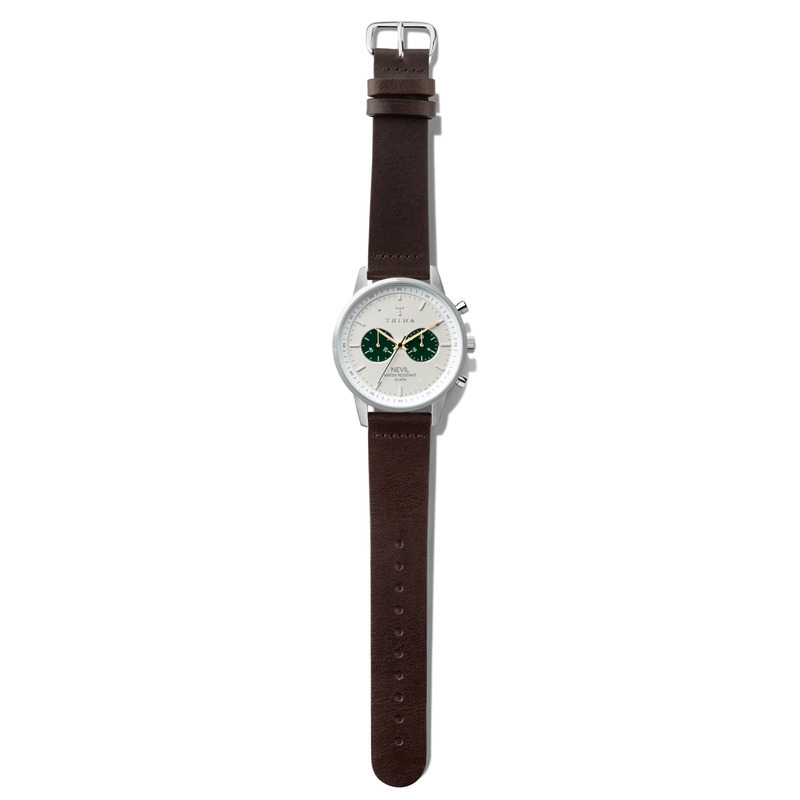 Limited edition of our most popular watch model Nevil, exclusive for online. 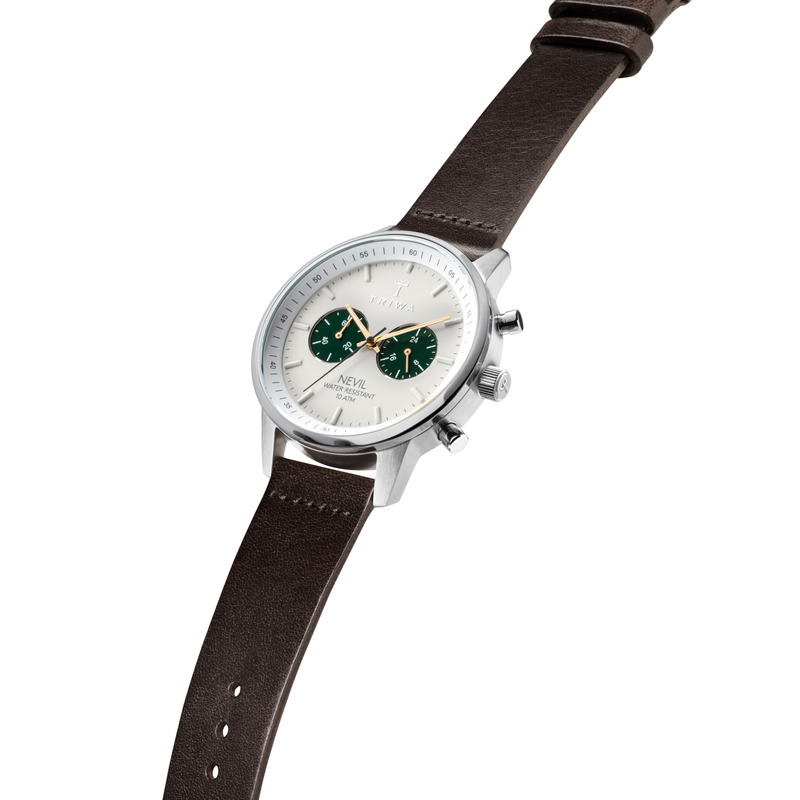 The Nevil is our interpretation of the classic chronograph. 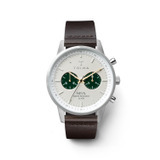 Here expressed in brushed steel, emerald green and brown Swedish organically tanned leather. A unique model limited to a few pieces.